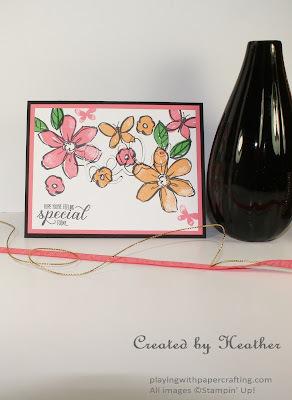 I saw a great technique over at a past Global Design Project post. 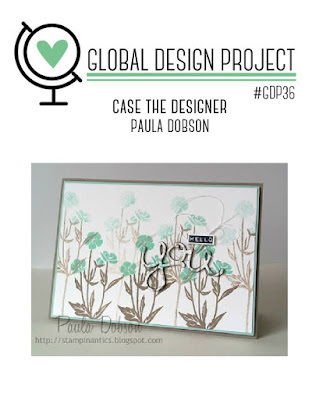 It was a CASe the Designer, Paula Dobson, challenge! I decided that I would feature this technique in my next free newsletter tutorial, so I wanted to give you a quick look today, so you would have a chance to sign up for my newsletter in time to get it. 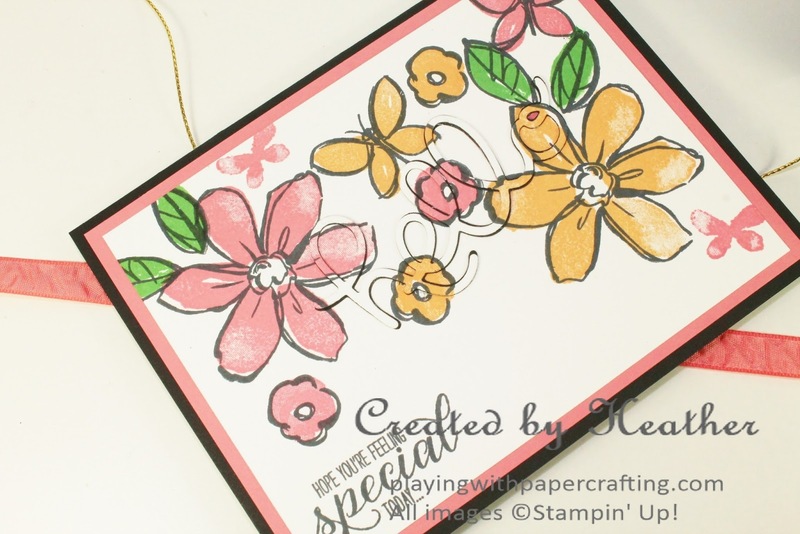 The technique involves die cutting a sentiment from your image panel and then embedding it back in the same area after increasing the thickness of the sentiment. 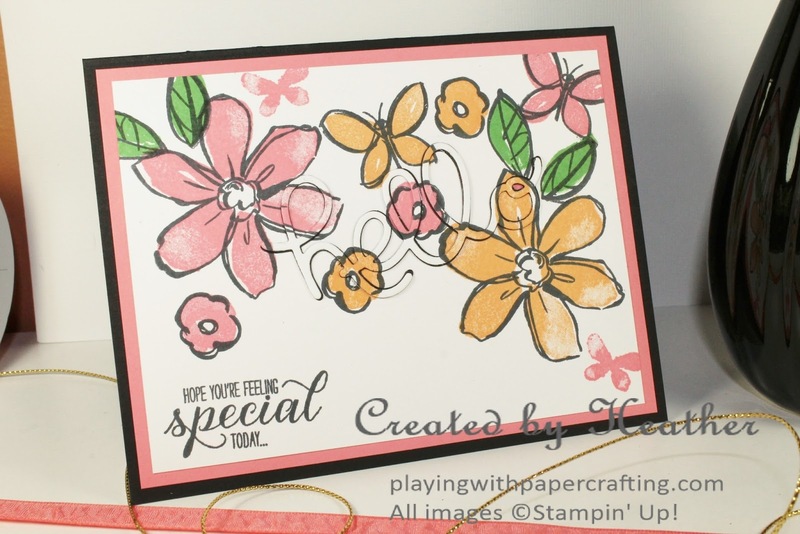 For my card, I chose to use the Garden in Bloom stamp set, and some of the new In Colours, Flirty Flamingo* and Peekaboo Peach*. Can you see that camouflaged hello in there? You are always free to unsubscribe at any time, and I only send out an average of 1 or 2 emails a month, depending on the important information I have to pass on. Have a great weekend! I'm hoping to hear from you soon!